The spa is named after the beloved wife of Lord Krisna. It is also means prosperity or success. Radha Spa is not only a common spa but it is designed as a shrine of wellbeing where guests will be welcomed by warm and genuine hospitality surrounded by relaxing atmosphere. Each treatment is tailored to meet the fundamental needs of relaxing holiday to complete their stay experience in Sankara. Find the best treatment to match the rhythm of your body. Our treatment rooms are exclusive, therefore we encourage you to make an advance reservation to secure your private session. Due to limit space available we encourage you to secure the space by contacting our Spa or Reception in advance. Celebrate your special day by experiencing a unique sensation of signature Radha treatment. Immerse in the warmth of cajuput essential oil and rejuvenate after the refreshing facial. Take the journey toward radiant health; let the magic of coconut energize your beauty with its healing power. Coconut is recognized as one of the super foods because it contains properties that can prevent or even cure wide range of ailments. Kasmaran means fell madly in love. This special package is designed for couple to revive the sparks and bring the romance back alive. Ubad is a Balinese word means medicine or remedy. Traditional medicine is commonly made from herbs and it is believed to have better result on healing. This package offers a special treatment using traditional herb to improve blood circulation and promotes calmness. Authentic traditional massage with the combination of stretching, long stroke skin rolling, palm & thumb pressure technique to balance the energy centers and improve the integration of your internal systems, blood circulation and stress release. Experience our signature massage that offer a warm sense of cajuput essential oil in very gentle but firm strokes depending on your preference. Effective to reduce stress, rejuvenate your body and revitalize your body. It is an application of appropriate pressure to specific points and areas on the feet and lower legs, muscle and reflex points that correspond to different organs and systems. This treatment is perfect to release stress and ease tensions. A healing massage using fingers, palm, shiatsu technique, Balinese massage, and elbow flowing with concentrated energy for long continuous strokes combined with gentle touch. Provides a complete relaxation and tension relieve. This special therapy is focusing on realigning deeper layers of muscles and connective tissues. It is especially helpful for chronic muscle tension and contracted areas such as stiff neck, lower back tightness, sore shoulders, and high blood pressure. A unique therapy using smooth-heated volcanic stones applied to scattered points on the body to warm tight muscles and open blockages to improve blood circulation. The treatment will help you to relax, revitalize your body, reduce back pain, and even cure cold. An exclusive Balinese massage combined with heated coconut oil to warm the body. The combination of acupressure and hot oil will help to balance your energy, loosen tight muscle and improve blood circulation. This treatment is using a century-old recipe of pure mixture of herb and spices which will increase blood circulation and ease pain. Inclusions : natural foot bath, cucumber body polish, and flower bath. Inspired by the royal’s treatment in Java palaces, this traditional scrub recipe is good to exfoliate and detoxify the skin. 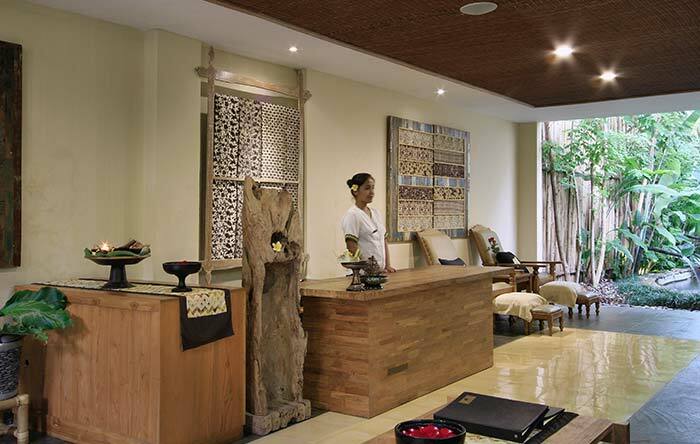 The treatment includes foot ritual, Balinese lulur, body milk polish, flower bath and moisturizing body lotion. A special exfoliation treatment using volcanic powder to detoxify your skin, leaving it smooth and shinny. Included in the treatment: natural foot bath, clay body polish, flower bath, and moisturizing lotion. This deep cleansing treatment is designed for both women and men. The treatment consist of deep cleansing facial, peeling, face massage, face mask, and hand & shoulder massage. Get a healthy and well-groomed nails. Our natural manicure and pedicure treatment includes nail and cuticle conditioning, nail shaping and buffing, and nail art. The treatment is closed by reflexology using rich cream leaving the skin silky-smooth. 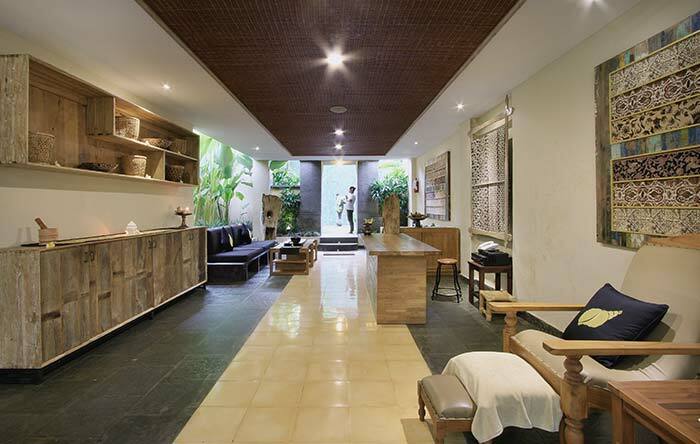 An exclusive care dedicated for tired feet after a long stroll down the Ubud center. This relaxing treatment using only natural ingredients not only will ease tired muscle but also eliminate any unpleasant odors. A combination of some selected treatments to offer you a memorable experience of a body and mind rejuvenation ritual. Each treatment is chosen thoughtfully which provides continuum relaxation from one treatment to another. This package includes foot ritual, Balinese massage, volcanic scrub, volcanic mask, facial, flower bath, and moisturizing body lotion. This package is designed for both women and men to enhance the individual’s femininity or masculinity. The treatment begins with foot ritual and followed with lulur or boreh scrub, yogurt body polish, aromatic flower bath, facial, and closed by moisturizing body lotion. Wonderful soul shines through a healthy body. This spa package covers all the essentials for you to revive from inside out. 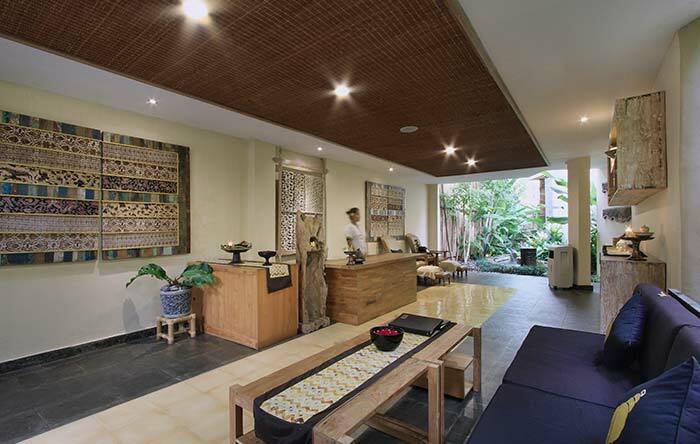 Inclusions: natural foot bath, Balinese massage, special head massage, facial, Jamu herbal drink.